Metrocurean would like to extend a warm welcome to the Cookthink blog, the predecessor to Cookthink, a user-friendly recipe Web site slated to launch this fall. Brys, a co-founder of the site and personal Metrocurean friend, is based here in D.C. and has already offered up some great posts with recipes, like this one for market slaw. Meanwhile, the other half of Cookthink, Chip, is thinking about going on the 100 Mile Diet. Check them out and watch for news of the Cookthink launch. Thanks for the welcome, Amanda. Hope we're able to meet when I'm next in DC. Can't wait to visit the Cowgirl Creamery store there. Right. Good call on the spices. I'm going to try to stick to just coffee and sugar (though maybe I'll surrender sugar if I can have salt & pepper). I haven't started and I'm already thinking of allowances. On that note, I see that some Minnesotans (a crafty people) who followed the 100 Mile example allowed themselves "trade items" such as salt and chocolate. Decide my fate: how many trade items do I get? a chef, a waitress, or anything remotely remotely resembling an expert on washingtonian food. You arent even from here? If you could not make as a writer on the crappY newspaper The Hill, why the hell are you telling me where I should eat in my hometown, southerner? DC brat: Wow, I'm not sure what I did to provoke such anger, but feel free to not read Metrocurean anymore. DCBrat, why should we listen to you? You haven't shared your credentials or even told us who you are or what your name is? Seems cowardly and unfair to lob such critiques at someone else while hiding behind the anonymity of the Web. I won't even deign your insutlting all freelance writers as failed journalists with a comment. I will just say that Amanda has written for Food & Wine, Washingtonian, DC magazine, and the Post Express. And THOSE credentials do not constitute a failed journalist. A failed journalist is someone who doesn't get their facts straight. Here are some you fouled up. Amanda spent several years working as a waitress. And she didn't work at The Hill. She worked at Roll Call. She left to pursue other things, but still has a regular dining column for them. In fact, the only thing you got right is that she is beautiful and charming. Of course, I don't want to be guilty of my own criticism so I won't hide behind the anonymity of the Web. I too am a freelance writer and I met Amanda through work. This particular "failed journalist" has written for several national newspapers and magazines and has a book coming out next fall. So, pony up, DCBrat, who are you? Why should we listen to you? Brat, dude, did you forget to take your meds? Metrocurean's da bomb. brat- what are you smokin to get in such a foul mood? This has always been a great, informative blog, which has never claimed to be anything its not. 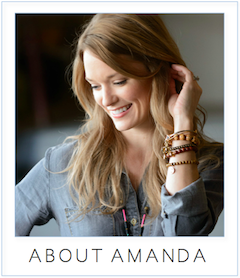 Amanda has written several solid articles for both local and national magazines and newspapers. What have you done? Why does going to kindergarten in DC all of a sudden matter to be a good journalist here? While you may be jealous or bitter, or who knows what... leave your hatin' at home or keep your unfounded and unintelligent ramblings where no one will see them-- on your own blog. Okay, I'll bite. My family has been in (not *near*) the District going on a century. We've still got three generations living in DC. And I think Metrocurean rocks. Does Amanda tell me where to eat? Not so much. But she sure provides lots of good foodie gossip I've yet to find anywhere else. Pay no mind, Amanda...you *are* appreciated.